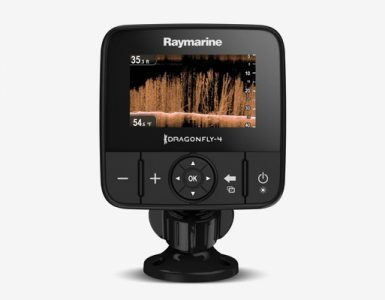 If you are looking for a tool that would help you to improve your fishing experience, then you should consider getting a Raymarine Dragonfly 5 Pro. It includes optically-bonded, a high-definition LED-backlit display which is reliable and easy to view in all weather and not only that but also the LED display looks sharp from every angle. It includes all sorts of bells and whistles such as CHIRP sonar which is a wide spectrum sonar technology. The dual channel, wide spectrum CHIRP sonar with DownVision technology, it allows us to get photo-like images of fish and underwater structure. The down imaging on this unit is accurate at reaching a depth of 160ft. It also comes with a transom mount CHIRP with a temperature sensor. It contains MicroSD card slot which allows for extra map storage, and the MicroSD memory card lets the user save your sonar screenshots. 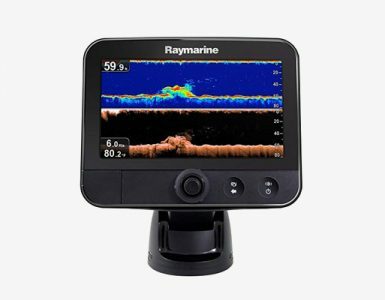 Raymarine Dragonfly 5 Pro has built-in Wi-Fi and the Wi-Fish mobile app allows you to stream live sonar data to your compatible smartphone. 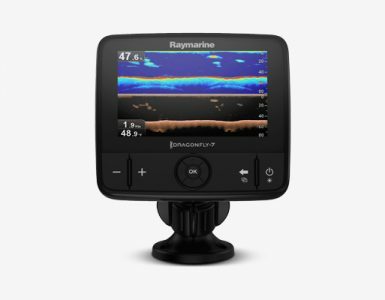 Raymarine Dragonfly 5 Pro includes 5-inch All-weather, high definition LED backlit display, an optically-bonded display for sharp color, wide viewing angles, and no internal fogging. The dual-channel sonar –wide-spectrum CHIRP DownVision sonar allows photo-like images and a second CHIRP conventional sonar channel for targeting fish. It is possible to stream live sonar data to your smartphone with Raymarine’s Wi-Fish mobile app. It is possible to rewind, save and share the day’s catch with fish with friends on your social networks through the Wi-Fish app. More mounting options for the removable mounting ball is compatible with aftermarket ball and socket mounting systems. Capacity to store 3000 waypoints and 15 tracks. Optional MicroSD memory cards can be used for expanded storage. It contains 50-Channel GPS which delivers precision guidance. Better deepwater solution and high-speed tracking. 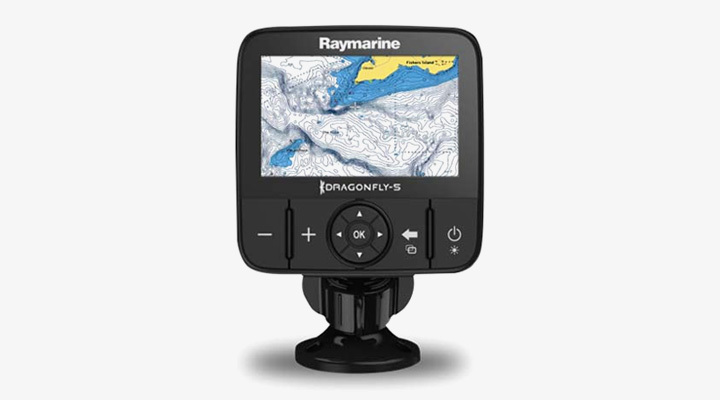 Raymarine Dragonfly 5 is also compatible with optional Navionics and Raymarine Lighthouse format charts. Bright screen and can be used in the full sun. It identifies fish in shallow water as well as deep water. The wi-fi capability which allows sharing screen data on smartphones and tablets. Booting the device up may take a while. The fingerprints on the screen may cause a bit of a problem. The transducer sticks out approximately 6 inches. The Raymarine Dragonfly 5 is worth the investment. It is easy to use, reliable and an advanced model that is highly beneficial for fish finders.